Learn what not to do from some of the biggest cyber attacks in 2018. Then, we'll tell you where you can find the tools and services you need to protect your company against hackers and other kinds of data breaches. First up on our list of cyber attacks? The infamous November hack of hotel giant Marriott, which compromised the personal and financial information of roughly 500 million people. Not only was this attack one of the biggest of 2018 -- it was also one of the largest of all time. What made it all the more shocking? Hackers had been infiltrating the system, undetected, since 2014. Customers had their credit cards, hotel stay dates, passport numbers, and addresses compromised. That's one way to ruin a vacation and jeopardize the future of a company. It's no secret that DNA testing kits and genealogy are all the rage right now. However, there have also been countless public debates about how someone could use your DNA against you in the future. People worry about healthcare providers, scientists, and even employers discriminating against people. This anxiety only made one of the biggest cyber attacks of 2018 -- the June MyHeritage hack -- all the worse. Over 92 million consumers had both their passwords and email addresses compromised. Though the company maintains that there was no DNA information stolen, victims of the attack remain skeptical. Above all, large scale cyber attacks like this one create conversation around the safety of sending off your DNA to a company. It created more fear about the ways someone could use the information against you. Close to 400,000 travelers had their credit card information, addresses, names, and even passport numbers stolen by hackers in a September cyber attack on British Airways. Of all the cyber attacks on this list, the British Airways attack is the best example of the right way for a company to respond to a serious data breach. First, the airline reminded affected customers to contact their banks and credit card companies to alert them. They also accepted responsibility for the attack. They admitted to lax security measures and inadequate software and pledged to fix the problem. Sounds like they should have updated their IT services sooner. We know you don't want to see your company's name on the list of 2019's biggest cyber attacks. 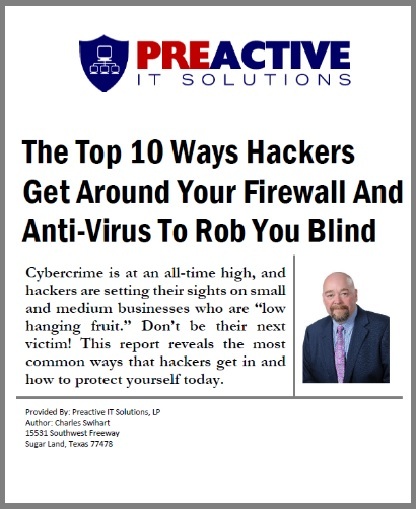 Now is the time to start getting proactive when it comes to your security policies. When was the last time you evaluated your site and data security? If you can't remember, then you're likely already a target to some of the top hackers out there today. Get in touch with us now to learn how to protect your company's future and the sensitive data of your clients.